Deneys Reitz was an adventurer, a soldier, an attorney, a cabinet minister and an author – whose memoires of the Anglo Boer War – Commando: A Boer Journal Of The Boer War, published in 1929 – brought him considerable fame. Born 2 April 1882 in Bloemfontein and died 19 October 1944 at the age of 62 in London. Deneys Reitz’s came from a prominent background. His father was the President of the Orange Free State Republic and a leading Afrikaner political figure. His family was of mixed French Huguenot and Dutch extraction (from his father’s side) and Norwegian (from his mother). Interestingly his grandfather also had strong Scottish connections and was a good friend of Sir Walter Scott (the author of the Waverly Novels). During the initial phase of the War, he fought several battles, including the engagement at Surprise Hill (Vaalkop) and in the Boer victory at Spioenkop. 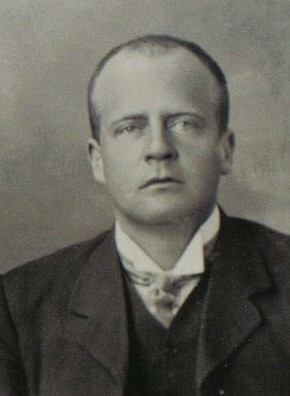 After a string of Boer defeats in set-piece warfare and the British capture of Pretoria, Reitz was one of the fighters who remained in the field. He joined General Jan Smuts who decided to conduct guerrilla operations, not in the territories of the Boer republics, but in the Cape Province. After the Boer surrender in 1902, Reitz went into voluntary exile in Madagascar, but was eventually persuaded by his old leader, now Field-Marshal Jan Smuts, to overcome his hostility towards the British and to embrace the Union of South Africa. His subsequent record of service shows how passionately he adopted the counsel of Smuts. In 1914 Reitz helped Smuts suppress the Maritz Rebellion in the Free State. He served on Smuts’ army staff in the “German West campaign” (in the German colony of South-West Africa) and in the “German East campaign” (in German East Africa) where he rose to command the Fourth South African Horse mounted regiment. On the Western Front during World War I he fought with distinction as a comrade-in-arms of the British, and became a Colonel commanding the First Royal Scots Fusiliers, one of the oldest regiments in the British Army. He returned to active service to lead his regiment to the Rhine after the Armistice. On his return to South Africa in 1919 he married Agnes Bussinné Leila Wright (1887 – 1959), a social reformer, outspoken advocate of women’s rights, and subsequently South Africa’s first woman Member of Parliament (representative for Parktown in Johannesburg, 1933 – 1944) and subsequently built their house in Wauchope Avenue, Parktown. Deneys Reitz went on to become a cabinet minister, first under Botha, and later under Smuts. As Minister of Lands, he introduced legislation relating to several important projects, notably the establishment of the Kruger National Park. Out of office from 1924 to 1933, Reitz joined a firm of Johannesburg attorneys which bears his name and, both personally and on business, travelled widely, visiting Rhodesia, the Belgian Congo and South-West Africa. It was then, in 1929, that he wrote Commando, the first of his literary successes. Back in office in 1933, he was appointed Minister of Lands as a member of Gen. J. B. M. Hertzog’s coalition cabinet, subsequently becoming Minister of Agriculture and Forestry in 1935 and Minister of Mines in 1938. From 1939 to 1943 he was Minister of Native Affairs and Deputy Prime Minister in Smuts’s war-time cabinet. In 1943 he went to London as High Commissioner for South Africa, an office that he held until his death in London in 1944. His principles during his political career included loyalty to General Smuts, loyalty to the British Empire, as guarantor of South African freedom, and harmony between Dutch and English South Africans. He opposed the Ossewa Brandwag organization, which planned to take control of South Africa as soon as Britain had been crushed. Deneys Reitz in the Smuts Cabinet in 1939. He sits in the front row third from the right. Smuts also sits in the front row, second from the left. In South Africa he was regarded as an enterprising cabinet minister, and in the United Kingdom as an admirable representative of the Union of South Africa. One anecdote about Reitz which sheds further light on the type of man he was: while serving in London, one of his sons back in Parktown had experimented with a type of explosive, and in the process lost an eye. When he received the news, Reitz immediately wrote to the boy, saying that from where he stood in his office in South Africa House, he could see the statue of someone who had also lost an eye, but who had nevertheless overcome, and had risen to great heights. For anyone interested in Deneys Reitz’s literary success, publication of ‘Commando’ was followed by that of ‘Trekking’ on in 1933, and of ‘No Outspan’ in 1943. The first two memoires end with the First World War; the third, a mixture of history, politics, travel and sports. All three books can be bough under the single title – ‘Adrift on the Open Veld’. Deneys Reitz Attorneys exists today under the name Deneys Reitz Attorneys Inc, although it now operates within the Norton Rose Group (one of the top five international law firms).